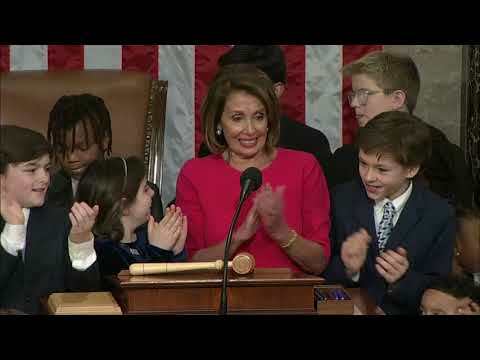 WASHINGTON (AP) — Cheering Democrats returned Nancy Pelosi to the House speaker’s post Thursday as the 116th Congress ushered in a historically diverse freshman class eager to confront President Donald Trump in a new era of divided government. 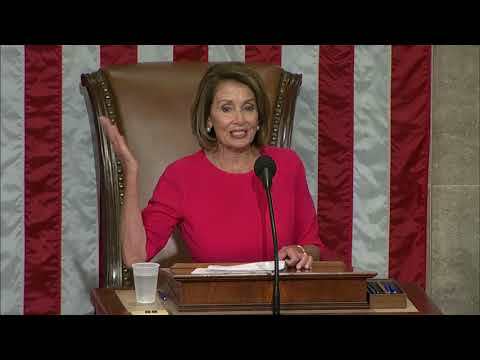 Pelosi, elected speaker 220-192, took the gavel saying U.S. voters “demanded a new dawn” in the November election that swept the Democrats to a House majority and are looking to “the beauty of our Constitution” to provide checks and balances on power. She faced 15 dissenting votes from fellow Democrats. It’s a time of stark national political division that some analysts say is on par with the Civil War era. Battle lines are drawn not just between Democrats and Republicans but within the parties themselves, splintered by their left and right flanks. Pelosi defied history in returning to the speaker’s office after eight years in the minority, overcoming internal opposition from Democrats demanding a new generation of leaders. She will be the first to regain the gavel since Sam Rayburn of Texas in 1955. One Democrat, Rep. Brenda Lawrence of Michigan, cast her vote for Pelosi “on the shoulders of women who marched 100 years ago” for women’s suffrage. Newly elected Rep. Lucy McBath of Georgia, an anti-gun violence advocate, dedicated hers to her slain teenage son, Jordan Davis. As speaker, Pelosi will face challenges from the party’s robust wing of liberal newcomers, including 29-year-old New Yorker Alexandria Ocasio-Cortez, who has risen to such prominence she is already known around the Capitol — and on her prolific social media accounts — by the nickname “AOC.” California Rep. Brad Sherman introduced articles of impeachment against Trump, though for now the measures are largely symbolic. Republicans face their own internal battles as they decide how closely to tie their political fortunes to Trump. House GOP leader Kevin McCarthy’s name was put into nomination for speaker by his party’s caucus chair, Rep. Liz Cheney of Wyoming, the daughter of the former vice president. He faced six “no” votes from his now-shrunken GOP minority. Many GOP senators are up for re-election in 2020 in states where voters have mixed views of Trump’s performance in the White House. Associated Press writers Jill Colvin, Matthew Daly, Alan Fram, Kevin Freking, Mary Clare Jalonick, Laurie Kellman and Zeke J. Miller contributed to this report.